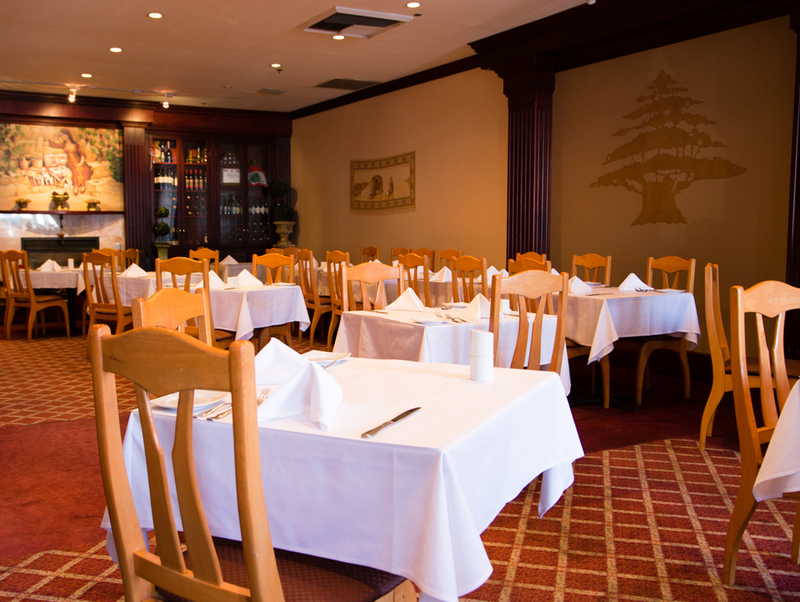 The Tannourine family restaurant features Lebanese and Mediterranean cuisine. We serve dishes that include an abundance of starches, fruits, vegetables, and meat. Lamb and poultry are highlights of our menu, and we prepare red meat sparingly. We also offer fresh fish and seafood and purchase limited quantities to ensure that you receive the best of that day's catch. Most often you will find that our food is either grilled, baked or sautéed in olive oil; butter or cream is rarely used other than in the preparation of a few desserts. Vegetables are eaten raw or pickled as well as cooked. The cuisine of Lebanon does not boast an extensive list of sauces. Here at Tannourine we instead focus on the use of herbs, spices and especially the freshness of ingredients in the preparation of our savory dishes. The meals are full of robust earthy flavors and like most Mediterranean countries, much of what the Lebanese eat is governed by seasonal changes. Join us for a meal that is good for the body and soul and savor the cuisines of Lebanon and the Mediterranean! What is a "mezza?" Traditionally, throughout the Eastern Mediterranean, from Greek to Lebanon, dining on "meze" or "mezze" and "maza" -is a way of life that traces its roots to the beginning of recorded history. The tradition is deeply rooted and is an expression of something Greeks hold dear: socializing over a few plates of simple, delicious food, letting the wine or spirits flow and savoring the liberating, gratifying effects of the meal and drink together. The word itself means "middle," as in "middle-of-the day," or between meals, because the mezza table is not routinely considered a setting for a full meal. Usually known as little "tidbits" served on small plates to Westerners, these bites bear a striking resemblance to appetizers or tapas. But that is where the similarity ends. Unlike tapas, mezza is not intended to be bar snacks. On occasion a mezza can even be the entire dinner. Thus mezza dining is an experience shared throughout the Mediterranean, where small savory plates of food are enjoyed in a convivial atmosphere, where friends and family join in the sharing of food and drink; in a relaxing, pleasurable environment.